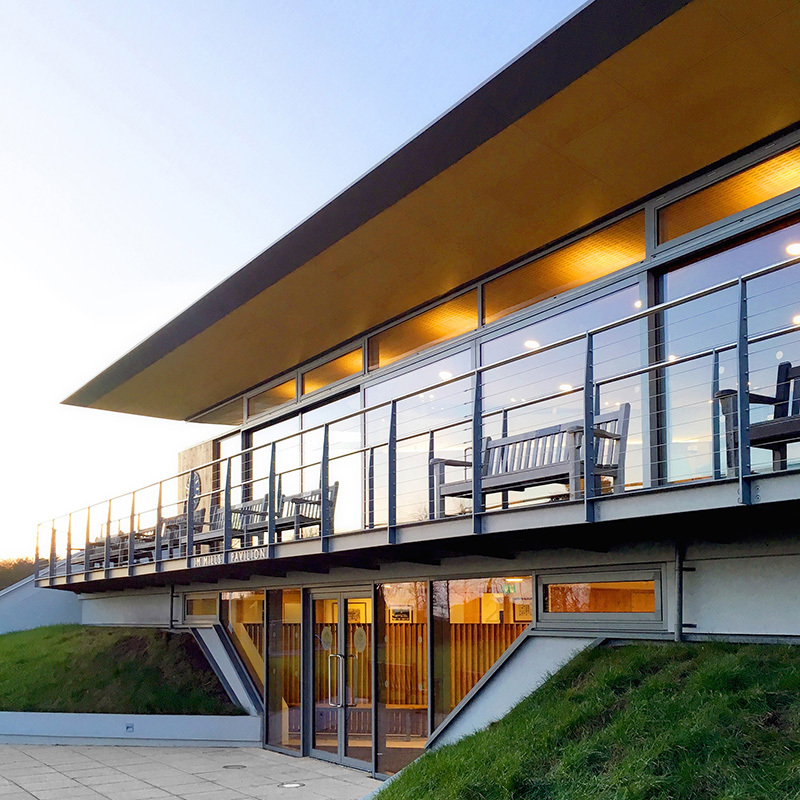 Won at competition, this project replaced a dilapidated pavilion at Oundle School. 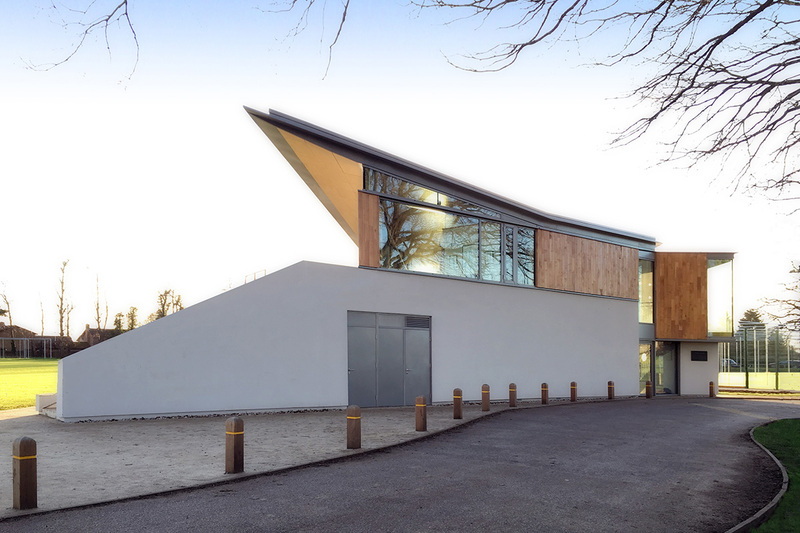 The building is an isosceles triangle in plan, providing entertainment and catering space in addition to changing facilities. 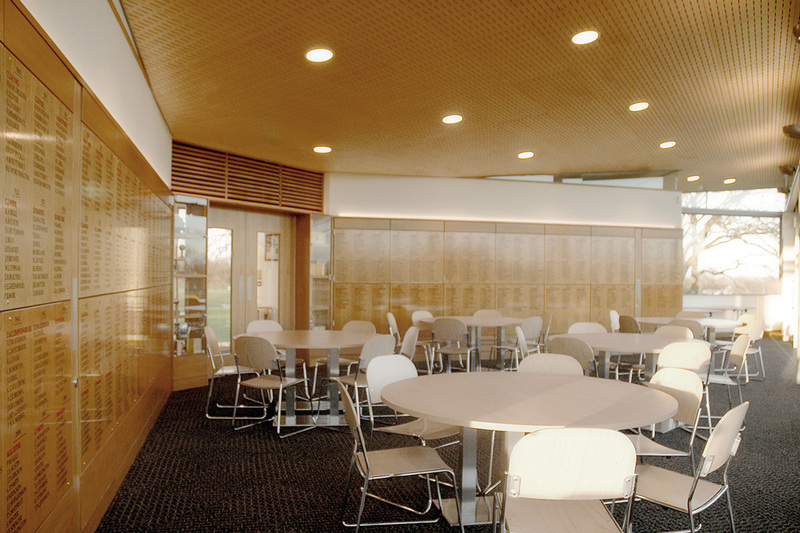 The clock and honours boards from the old 1956 pavilion were reincorporated into the new building, forging a link to the school’s strong cricketing tradition. 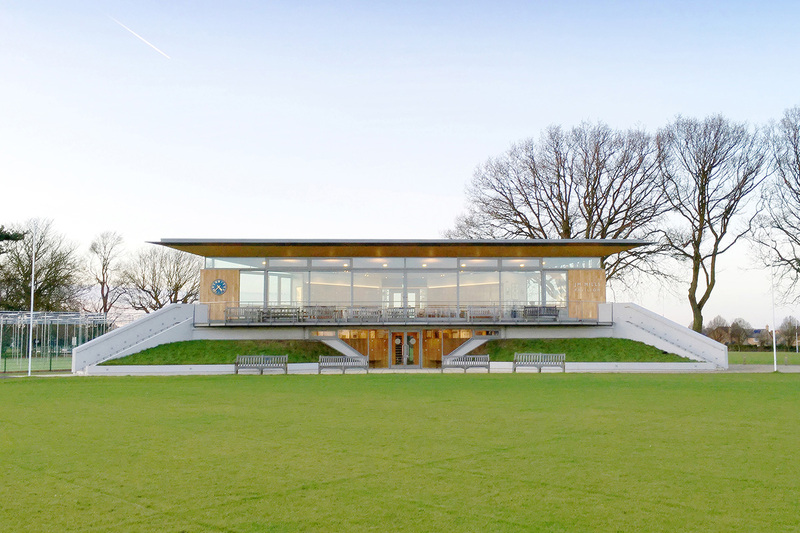 A 2.5-metre roof cantilever covers the raised spectators’ terrace overlooking the field. The roof appears to float over the extensive glazing below, including a continuous clerestory across the front and large glass doors on the terrace level. The knife-edge roof was achieved through the design of thermally broken connections, which avoided the need for insulation in the roof structure. 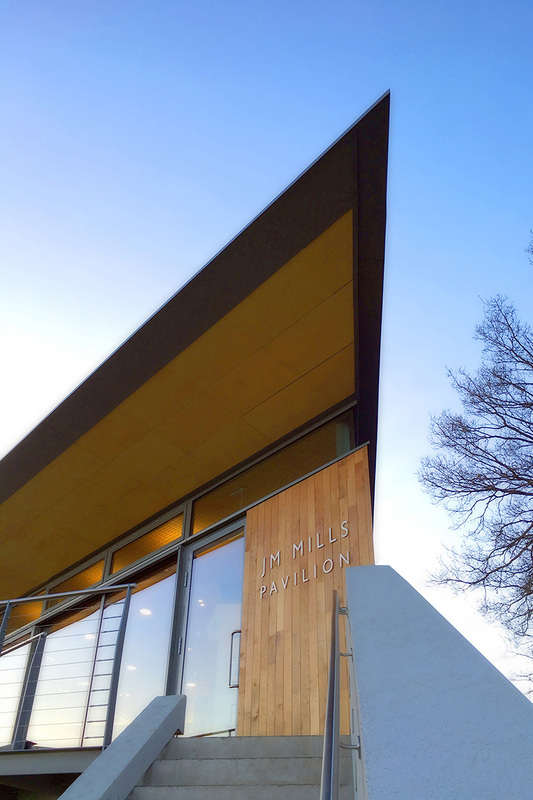 Challenge: The construction schedule was tight, requiring the pavilion to be constructed over winter in time for the 2015 cricket season. Solution: A hybrid frame using reinforced concrete, steel, and beam and block flooring was chosen and engineered to fine tolerances.